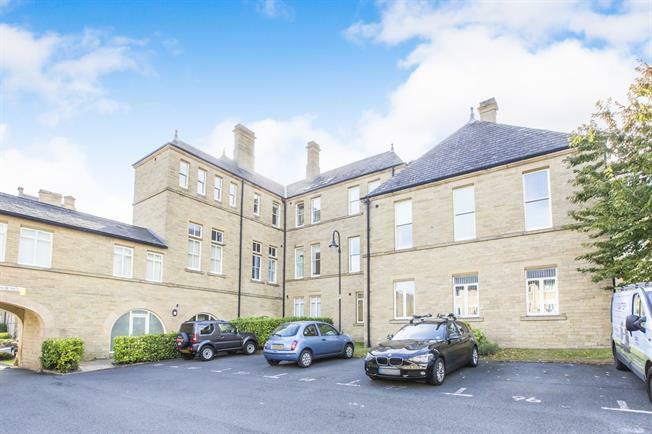 1 Bedroom Flat For Sale in Halifax for Asking Price £100,000. Situated in the prestigious Royal Hospital development is this delightful 1 bedroom first floor duplex apartment in this Grade II listed building, briefly comprising an entrance hall, a large lounge with plenty of natural light from 3 windows, a modern fitted kitchen, a good size mezzanine double bedroom and a stylish family bathroom. 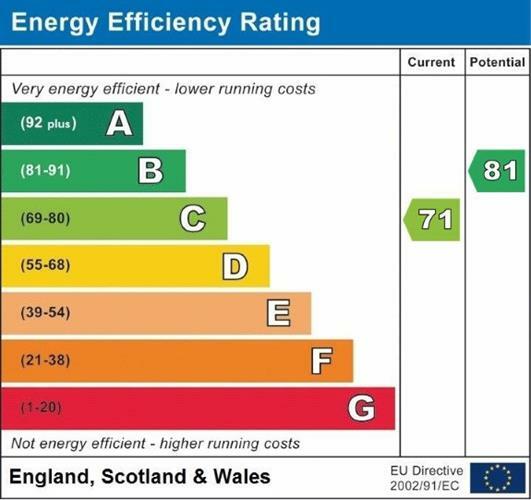 The property benefits from residential parking, secure intercom entry system and is serviced by a lift. This superb property would make an ideal purchase for a first time buyer and an internal inspection is absolutely essential to fully appreciate what is on offer for sale. Front door. Electric heater, laminate flooring, built-in storage cupboard, painted plaster ceiling and spotlights. 3 double glazed wood sash windows facing the front overlooking the communal garden. Electric heater, laminate flooring, painted plaster ceiling and ceiling light. Laminate flooring, tiled splashbacks, painted plaster ceiling and ceiling light. A range of wall and base units with complementary work surface, stainless steel sink with mixer tap and drainer, integrated oven and hob with over hob extractor, integrated dishwasher, washing machine and fridge/freezer. Carpeted flooring, built-in storage cupboard, painted plaster ceiling and spotlights. Double bedroom with electric heater, carpeted flooring, painted plaster ceiling and spotlights. Heated towel rail, laminate flooring, part tiled walls, painted plaster ceiling and spotlights. Low level WC, panelled bath with mixer tap, shower over bath, pedestal sink and extractor fan.